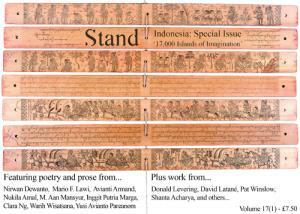 Stand has been a fixture on the British and world literary scene since 1952, when the first issue appeared in London. It moved to Leeds in 1960, then to Newcastle, and it is now edited from the School of English at the University of Leeds in collaboration with Virginia Commonwealth University in the USA. In 2017 we dedicated a whole issue to recent writing from China. This was an exciting innovation in collaboration with Colleagues in Chinese Studies at Leeds. 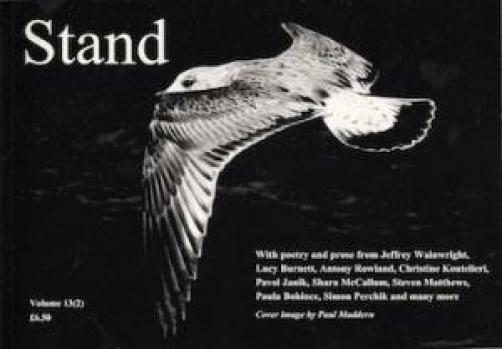 After that was an issue containing articles about the late Geoffrey Hill and some unpublished poems by him. There was an issue celebrating Tony Harrison’s 80th birthday. Soon, we will be re-considering, with affection and admiration, the life and work of Ken Smith. There is also to be an issue collaborating with writers from Indonesia. With Stand there is always new writing to discover and new views to think about. you will know what is going on. You will also help us to maintain the production of this journal. 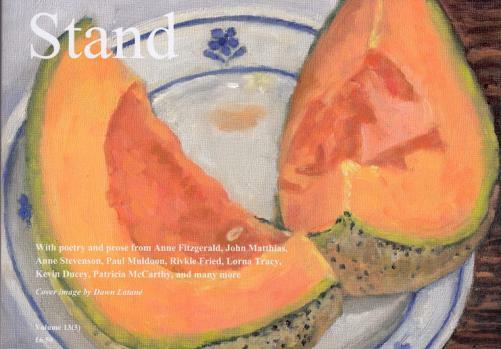 You will read poems and prose, reviews and opinions along with students and scholars, poets and novelists, and library users from the British Library to the University of Buffalo, from bookshops in London to Leeds, Edinburgh to Amsterdam. Your subscription gives us a regular income that helps writers and readers around the world. Please subscribe. 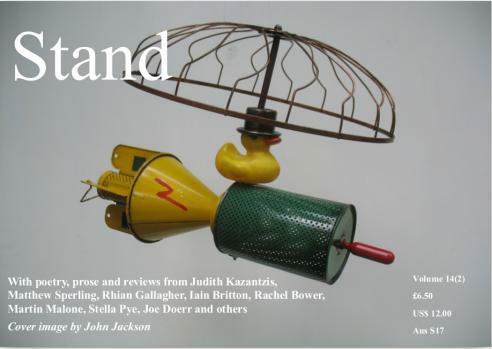 Stand wishes to acknowledge the support of the School of English at the University of Leeds, the Department of English at Virginia Commonwealth University, and the School of the Arts at the University of Bolton. Staff from all of these Universities give their time to write and edit this journal. They also offer opportunities to students to volunteer in production, writing and reviewing. 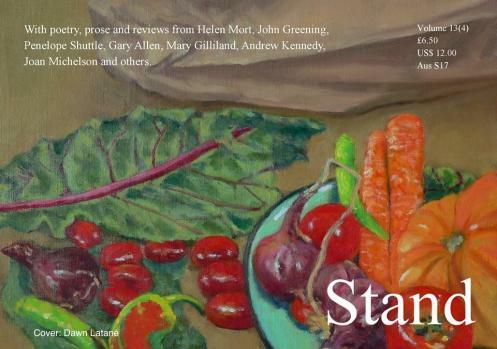 Jon Silkin, Stand’s founder, felt that writing and editing, printing and selling, reading, discussing and sharing new work were all part of making new literature alive and possible in a difficult world. Copyright this selection Stand Magazine Ltd. 2016. Copyright of individual items remains with contributors. 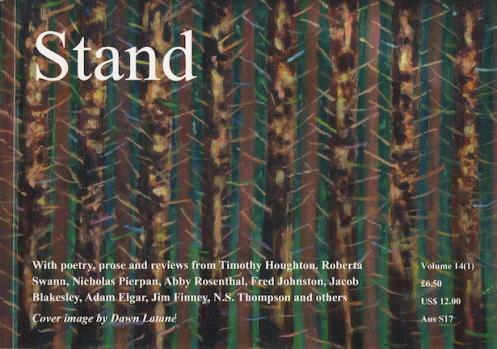 Stand and its editors accept no liability for views expressed or statements made by individual contributors to the magazine.